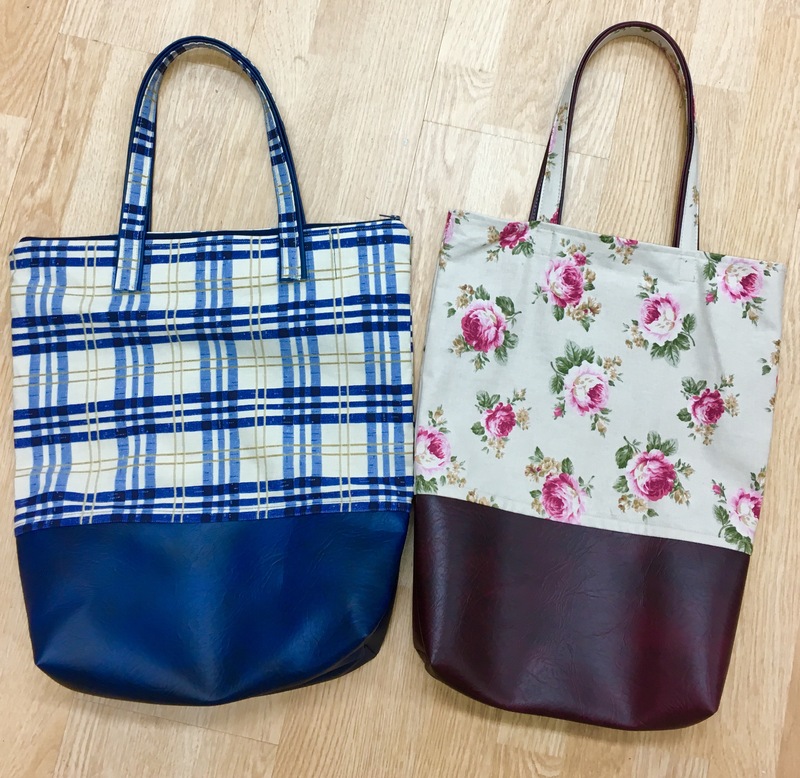 Come and cut out and construct this lovely large bag with fabric lining and reinforced vinyl base, add a zip at the top opening for security. This class will allow you to work with a variety of materials, some of which you may never have used before!! The bag can be made to any size as the basic principle is the same. If you finish quickly and have some fabrics left over there is a pouch/purse that can be made to go alongside the bag. We stock a range of soft vinyl which is perfect for the bag base and you can use any fabric to compliment the vinyl base.